This creamy pudding is packed with fiber and nutrients. And it’s a terrific grab and go breakfast. 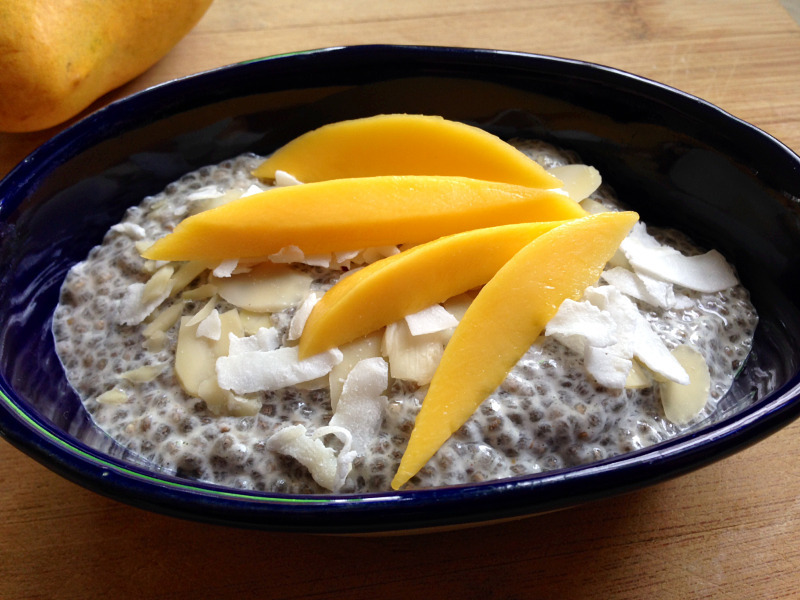 Chia puddings take practice to get the texture “just right,” so feel free to adjust the amount of seeds or milk to achieve the texture you desire. 1. In a 1 quart jar, combine the milk with the maple syrup and vanilla. Close the jar and shake to combine. 2. Add the chia seeds to the jar, then stir together with a fork to prevent the seeds from clumping. I mean REALLY stir it. Then cover the jar and shake it up. Let it sit for a few minutes, then fork stir it one more time to break up any clumps. Refrigerate until very thick and pudding-like, at least 4 hours or overnight, shaking occasionally, if possible. 3. The next day, spoon the porridge into bowls and add toppings. 5. Notes: Switch up the toppings based on what you like, or have on hand. In the fall, combine walnuts, apples and cinnamon, and in the summer try mixed berries. I prefer to make my own hemp milk – it costs less and doesn’t have the artificial ingredients found in the store-bought kind. It’s also super simple – whiz up ½ cup hemp seeds, 3 cups water and a pinch of sea salt in a blender – viola homemade hemp milk. The pudding will keep for up to 5 days in the refrigerator.